Error message: Uninstallation unsuccessful when trying to remove Panda Mobile Security from your device. 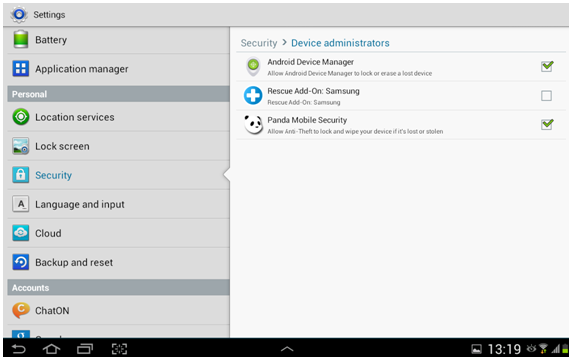 You need to disable the Device Administration permissions for Panda Mobile Security to be able to uninstall the product. Administration permissions are necessary for the Anti-Theft protection of Panda Mobile Security to work. To fully uninstall Panda Mobile Security, go to Settings, Security, Device administrators and disable the check for Panda Mobile Security. Please note that if the antitheft protection is enabled, you then need to access Settings, and disable the Protection against unsintallation check.